Specialized Travel Services is an Ireland Only Destination Management Company specializing in custom & unique leisure tour experiences & business travel to Ireland. In business since 1974, we work with all properties, from 5* Castle & private manor home rentals, to hotel & country guesthouses. Our sole focus on Ireland ensures you will enjoy the very best of Ireland, regardless of the type of tour they choose. Each booking is tailored to your individual preferences. We offer the most extensive portfolio of travel services to Travel Agents, Tour Operators, Cruise Companies, Incentive Companies and to individual travellers. We believe in a building a personal relationship with all our clients so that we can offer you not only our knowledge & advice but also our 24-hour support should you need assistance while traveling. A custom private chauffeur tour includes one of our own highly experienced personal drivers, touring Ireland in one of our luxurious vehicles, paired with the best-suited accommodations and a memorable itinerary. We can also put together a best routed self-drive program. Or allow our knowledgeable team to create a personal and dynamic itinerary for your group’s tour of Ireland. From multi-generational family travel to college/alumni groups, or garden to golf groups, we ensure that no detail will be overlooked for an unforgettable tour experience. 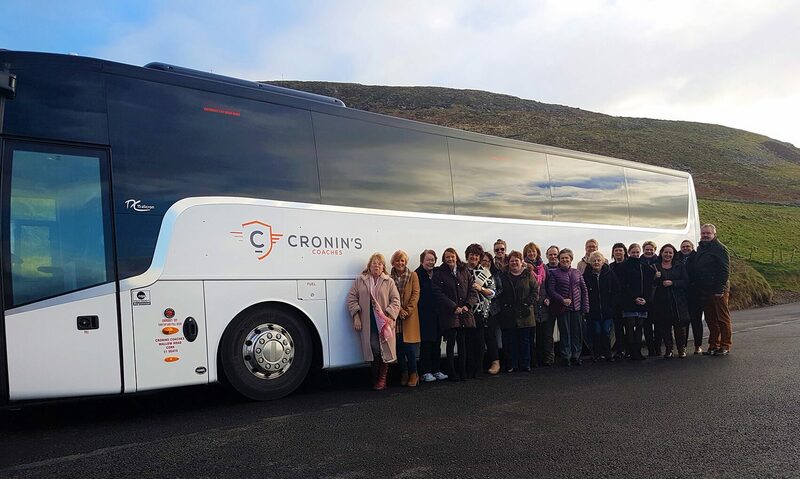 With our own fleet of over 50 vehicles, we ensure the highest standard of transportation; these are operated by our sister company Cronins Coaches.